I often repeatedly get asked this same question by new prospects: “our business is just getting online, so where do we start with SEO?” The answer is very easy and could be the differentiating factor in the difference between you and one of your competitors. New business owners should start by taking advantage a number of different online mediums before even trying to find an SEO company. Doing so will not only give your website a few additional back links from credible sources, but will also give you a head start in your SEO efforts without any additional costs. Whether you’re a small business who has been online for a few years or newly emerged business coming online for the very first time, I recommend you complete the following the steps to take advantage of all the different platforms which will ultimately be contributing to towards your small business SEO success. Google Places is Google’s local directory platform. By submitting your business to Google Places your business will be capable of been displayed to an unlimited range of potential customers all across your targeted areas. Signing up is fairly easy. Simply fill out the registration form to the best of your knowledge and always use the same business details across all online directory platforms. Once you’ve filled out your business details you’ll be prompt with a verification method. Select an option and wait for the verification pin code to be sent. Once you’ve received the code, insert the pin code to verify your listing and you’re done. To make the most out of your Google Places listing, ensure there is a consistent flow of incoming reviews about your business. Encourage past customers to write reviews about your products or services. Receiving a healthy amount of reviews will gradually contribute to the building of a long-term online business asset. While there will be certainly good reviews you should also good to be open to the idea that there may be the possibilities of negative reviews as well. If this is the case, don’t panic, simply respond to the user and work to rectify the situation in a professional and kind manner – your willingness to resolve the matter will demonstrate to potential customers that you care about each and every one of your customers. Acting as the world’s largest social media platform, Facebook has more to offer your business then you might originally think. Start by creating a Facebook business page and have all the fields completed as accurately as possible. In the “about” session ensure a live link to your website homepage is included for increased convenience for users wanting to navigate to the main site. Having set up your official Facebook business page, invite your friends, family and acquaintances to like your Facebook page. Additionally, place a Facebook Like Button or Like Box on your website’s pages to encourage visitors to like and follow your page. For more ways to engage with potential customers you may also want to consider Facebook’s advertising network as an additional marketing channel for Pay Per Click advertising. Industries greatly vary and Facebook’s Pay Per Click system just might be what you need to flourish online. Second to Facebook, Twitter is the second largest online social network. Have your business signed up for an account and use your business name as the username. This is an account which will be primarily used for business related tweets and updates so it’s vitally important you’re using your business name as your Twitter account name. After you’ve signed up and confirmed your account, proceed to upload an image of your page and ensure a link is placed back to your website in the “website:” field. Similar to the Facebook like button, a Twitter tweet or follow button should also be placed on your website pages to encourage social sharing amongst visitors. If you’re a frequent reader of industry-leading websites, why not share the article with a tweet and add a simple mention to your brand name. Google+, the social network that lived. Google+ has evidently grown to become a huge part of social during the past few years and now it’s transformed into another must use online medium. Start things off by first signing into your primary Google+ account and navigate your way towards creating your business page. Much like the first 3, fill in all the fields in the “about” section and ensure all relevant business profiles are included in the “Links – Other Profiles” section. One of the many reasons why it’s suggested you link up all relevant profiles is to show Google all your pages are interconnected with the same business. One small step certainly goes a long way in reinforcing the legitimacy of a small business online. Your Google+ page is now live, and it’s time to place another social button next to your already existing Facebook and Twitter buttons. Add a Google+ button or a Google+ badge in the most appropriate places on your website to gain some Google+ traction. Keeping in mind your customers could be using any of these social platforms, it’s important to expose as much sharing options as possible to maximise your social outreach. Unlike the first 4 platforms we talked about, LinkedIn has set of requirements needed in order to create a business page. You’ll first need to login to your original profile account and you must have at least 25 connections before they allow you to create a business page. If your industry isn’t too heavily involved in professional services and you can’t justify making 25 connections all for the purpose of creating a LinkedIn business page then simply skip this step. For those that have already made 25 connections, browse onto the “Companies” page on the primary navigation bar and proceed to locate the “Add a Company” link on the top right-hand side of the page. LinkedIn only allows for company representatives to create business pages so you’ll need an email address which is affiliated with your business eg. john@mycompanyname.com.au. Verify your email address and finally proceed to fill out your business details. 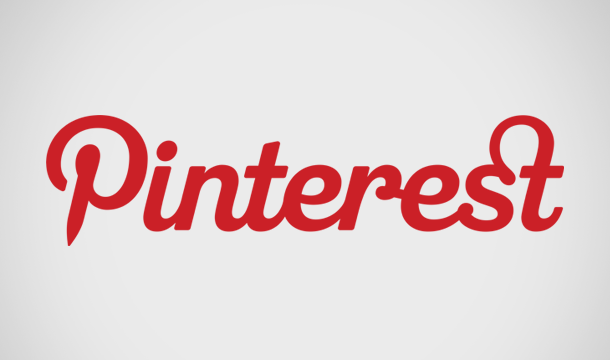 Pinterest is a unique online image collection board but also acts a vital social media marketing platform. Registration will require you to create a Pinterest business account instead of a personal account. Fill in the registration form and ensure the username field matches your business name. Agree with the terms and conditions and create your account. To finalise your registration you’ll need to verify your website. To do so, download the verification file and upload it to your website’s root directory. For new business owners this might be somewhat of a challenge if that’s the case you should consult with your web developer. After having registered and completed the verification process, start by making a few repins and uploading a few images of your own business which you’d like to showcase. For best exposure and shareability I’d advise to only upload high quality images that provide some type of wow-effect. Make a couple of repins and uploads every so often to keep your account active and healthy. TrueLocal is one of Australia’s largest local business directories. Getting listed on a well-known authority website such as TrueLocal will not only help with building co-citations (help in local rankings) but may also assist in helping customers find your business. Adding your business is straight forward. Simply register and add a business profile image and complete all the field details. Always try to aim for 100% completion as most directories websites will prioritise your listing higher in comparison to a listing which hasn’t received a 100% completion score. Large authority directories such as TrueLocal will most likely be ranking very highly for your business brand name in the search engine result pages. Taking this idea into consideration it’ll heavily work in your favour if your listing is filled with positive reviews and enlightening comments about your product or services. Potential customers wanting to find reviews about your business will most likely find websites similar to TrueLocal in order to discover what past customers have had to say. Invest some time and resources into encouraging loyal customers to take a bit of their time into writing you a review. Most older business owners will probably have had dealt with Yellow Pages at least once in their business life. The phone book giant have taken their presence online and ever since have become quite good at dominating the online directory space. Unlike most free directories, Yellow Pages don’t allow for many field options when completing your free registration – unless of course you subscribe for a paid listing. Verification may take up to 2 weeks and you’ll most likely receive a call from a consultant enquiring about your submission. After having your submission reviewed and verified by a Yellow Pages consultant, your listing will then be live. In most cases, Yellow Pages will also create a duplicate business listing for White Pages as well – at no cost whatsoever. An interesting thing about Yellow Pages is that they’ve integrated their reviews system with Yelp. If you’ve already got a listing on Yelp, all your reviews will also be displayed on your Yellow Pages business page. Rinse and repeat the same steps as you did with TrueLocal to maximise exposure with Yellow Pages. The result of having signed up and completed these initial 8 steps means your online presence has now increased and additionally, you’ve also gained additional credible backlinks from highly authoritative sources. To get a further start on your small business SEO, I recommend you also add submit your business to Hotfrog, Startlocal and AussieWeb. Any questions or comments please feel free to post them below.